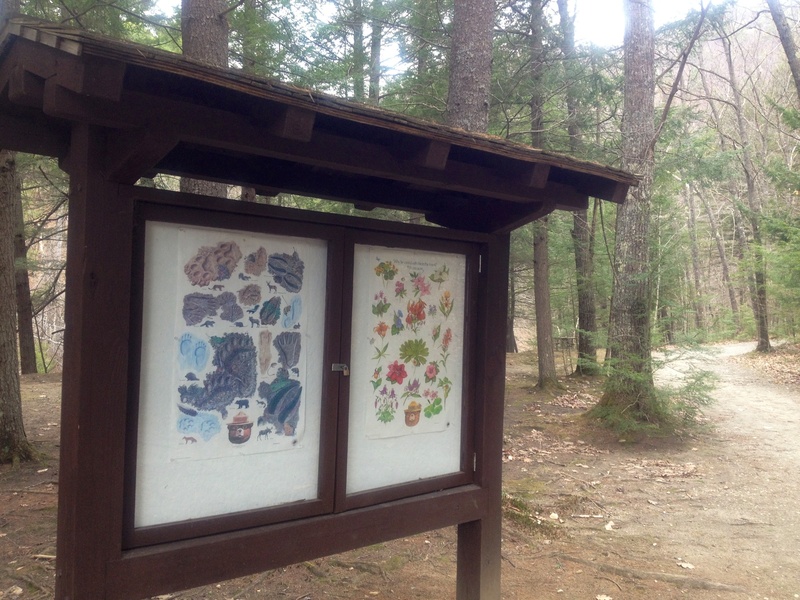 The Vermont State Parks and the Green Mountain Club recommends the West River Trail at the Jamaica State Park as a place to hike in early spring. Hurray for spring! Here is an excerpt from the Green Mountain Club webpage: Click HERE for more info. Plan spring hikes in hardwood forests at lower elevations. If a trail is so muddy that you need to walk on the vegetation beside it, turn back and find another place to hike. Avoid spruce-fir (conifer) forest at higher elevations and on north slopes before late May and from the end of October until frozen or snow-covered. • West River Trail , click HERE for details. Recreational Trails in Jamacia State Park: West River Trail, 2.0 miles from park entrance to Cobb Brook Bridge. One of few converted rail beds in southern Vermont, the section in the park is universally-accessible and great for easy walking, jogging or biking. Open to all foot travel and bicycles. The trail meanders along the West River, following the old bed of the West River Railroad. Look for “The Dumplings,” a group of large boulders about one half mile up the trail. Follow the trail for another 1.5 miles to reach Cobb Brook. After crossing the brook, the trail continues to Ball Mountain Dam (another 0.5 mile on federal property). Completed in 1961 for flood control, the dam stands 265 feet high and is 915 feet long. The section of trail in the park is part of a rail trail that is managed by the Friends of the West River Trail. With the trails in State Parks, check in with the VT Department of Forests, Parks, and Recreation to see if the park and trails are open. Their phone number is (802) 241-3655. This entry was posted in upper section, vermont, west river trail and tagged green muntain club, jamaica, spring hiking, vermont, vermont state parks, west river trail. Bookmark the permalink.